Cover the monkfish fillets with foil and allow to rest for a few minutes before serving. 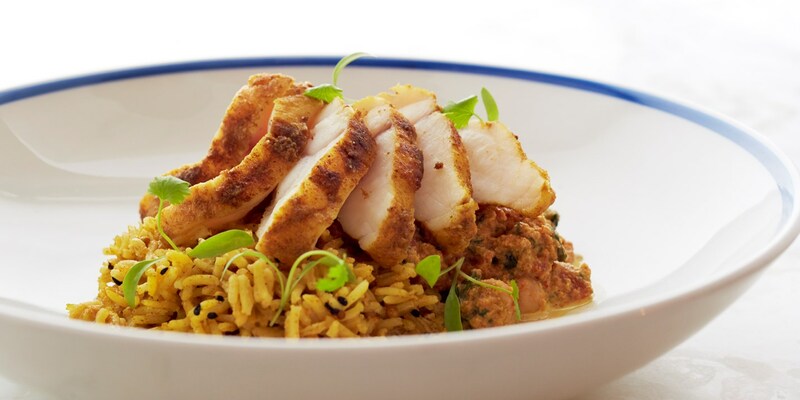 Josh Eggleton marinates monkfish in an Indian-inspired spice mix to add flavour. In a similar vein, Marcus Wareing uses a chorizo and almond crust to add crunch and flavour in his dish. Monkfish fillets can be paired with a range of robust ingredients - from coriander and sage to prosciutto and chilli. Why not have a go at making your own spice mixes and marinades.